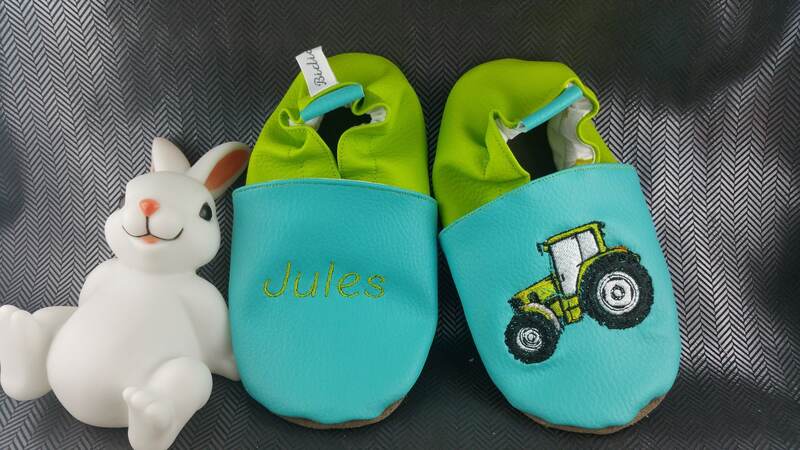 The pair shown here is made of faux turquoise leather on the front and lime green on the back with embroidery depicting a tractor on a foot and the name of child on the other. 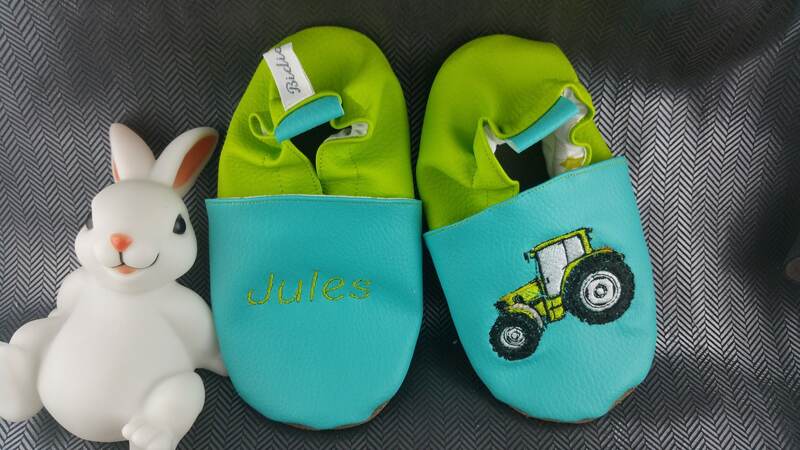 Des petits chaussons qui ont fait craquer les parents et la grande soeur. Reste à bébé de grandir pour en profiter. Merci pour ce travail de qualité et la rapidité de l'envoi. Nice baby shoes. Parents and the daughter love them. Now the baby must grow to use them. Thanks for the works, the quality of shoes and the quick delivery.